"I Need To Sell a House Fast in Baltimore!" Is That You? Have a problem property you want to get a rid of quickly? And we think you’ll be pleasantly surprised to hear how quickly we can make it happen. While it typically takes 45 – 60 days to settle going the traditional route, we’ll make you a fair cash offer and close as fast as 5 days. While that may be hard to believe, it’s true. We can make it happen that fast because we buy houses in Baltimore County with CASH, which means there isn’t a bank slowing down the process. 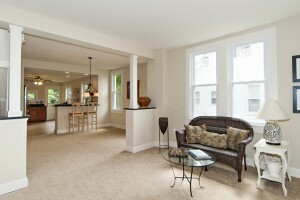 Need to Sell a House Fast in Baltimore or surrounding areas? We can buy your home. Contact us today! We’d like to buy your unwanted property from you as is, regardless of the condition, price range, or location. Things like fire damage, graffiti, broken windows, layers of filth, and rooms filled to the brim with unwanted stuff aren’t a deterrent for us. It doesn’t matter how terrible of a condition your property is in. We’ll buy it as is, so you don’t have to worry about cleaning, making repairs, or hauling away stuff. And it doesn’t matter to us why you’re selling. We want to make you a fair cash offer for your problem property, no matter what. 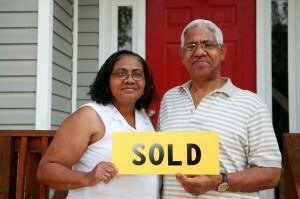 When we buy houses in Baltimore County it’s a speedy and stress-free process. You tell us when you want to close and that’s when it happens. We can close in less than three weeks and as little as 5 days if necessary. There’s no waiting around for banks, no worrying about loans falling through. We pay with cash. You don’t have to worry about people coming in and out of your house and potentially stealing stuff. You also don’t’ have to fret about scam artists who know your house is for sale and try to rent it out illegally. Selling to us removes all the potential stressors and time-suckers. While a lot of investors back out at last minute if they can’t find another buyer, our offer is GUARANTEED, so if we don’t buy the house, you get to keep our deposit. There are also a lot of investors out there that aren’t 100% truthful. They’ll tell you one thing and do another. Besides the fact that we make the fairest offers around, we’re completely upfront with you, every step of the way. If your house is in good shape and we think you could get more money selling through a realtor, we’ll tell you so. We’ll even refer you to a good realtor. If we think it makes sense to make you an offer, we’ll recommend that you shop around before accepting it so you can feel truly confident in your decision. And when it comes time to do paperwork, we’ll recommend you have your own attorney review the contract. So if you’re sick of all the stress of trying to figure out how to get rid of your unwanted property for a fair price, just fill out our no-obligation, no-hassle information form below and we’ll make you a truly fair offer within 24 hours. Take it or leave it. You have nothing to lose – except your problem property and a whole lot of hassle. Prefer to talk to someone in our office first? No problem. Just give us a call now at 410-696-4321. We’re happy to answer any questions you may have.